The original version of this song was released on the “From The Vault” CD. Click here for more info. James Christian is best known for being the front man for the band House of Lords. The band’s first self-titled album was released in 1988 by Gene Simmons’ (KISS) company Simmons Records and received critical acclaim. The album featured the hit “I Wanna Be Loved” which reached number 58 on the Billboard Hot 100 chart. The second album “Sahara” featured a number of high profile guest musicians, 2 hits on the top 100 and was certified platinum in 1991. House of Lords went on to release eight additional albums, the most recent being “Big Money” on Frontiers Records in 2011. 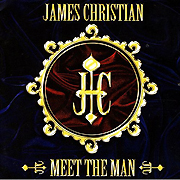 James Christian is best known for being the front man for the band House of Lords. The band’s first self titled album was released in 1988 by Gene Simmons’ (KISS) company Simmons Records and received critical acclaim. The album featured the hit “I Wanna Be Loved” which reached number 58 on the Billboard Hot 100 chart. The second album “Sahara” featured a number of high profile guest musicians, 2 hits on the top 100 and was certified platinum in 1991. House of Lords went on to release eight additional albums, the most recent being “Big Money” on Frontiers Records in 2011. I met James through Judithe Randall who was an amazing friend, co-writer and music matchmaker. Judithe was an incredibly talented and gifted lyricist and artist who was always helping talented people that she believed in. Judith had contacted James who was in Connecticut at that time and asked if he would come to California to record some of her songs. From that point on it was only natural that James and I would end up working together as well. We actually have one song we wrote together called “Tell Me You Love Me” that has never been released. With the release of “From The Vault,” James and I also both have releases on Frontiers Records. About Nick Gilder: Nick Gilder is a performer and writer who originally began playing with the Vancouver group, Sweeney Todd. The band split up in 1977 and Gilder began a solo career signing with Chrysalis releasing the album “You Know Who You Are.” Gilder’s second album, “City Nights” produced the platinum number one single “Hot Child In The City.” Gilder released several other albums as a solo artist and is the writer for Patty Smythe’s #1 hit, “The Warrior.” Nick has once again teamed up with fellow Sweeney Todd member Jim McCullouch. Nick and Sweeney are now touring festivals, casino showrooms and fairs. 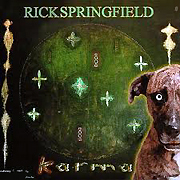 Rick and I wrote many songs during the late 80’s into the late 90’s. We mainly wrote songs together for Rick’s artist CD’s but because of Rick’s passion to expand his horizons and our mutual love for R&B, we decided to “pen” a few songs that were specifically arranged and produced for the current R&B pop market at that time. By doing that, we would “cast the characters” by hiring other singers to come in and do the vocals. Mindee Lee did a stellar job singing this song. I feel it’s one of our best “non-artist RS” songs that we wrote together and to this day, can’t figure out why it wasn’t covered. Maybe one reason was because after my Motown 4 year staff deal ended in 1992, Motown sold their publishing company to EMI Music. With the exception of 3 or 4 songs, all of my over 100 songs written during that time frame were misplaced for nearly 17 years! I found this out around 4 years ago when I went to get the mechanical license / clearance info for the “From The Vault” songs I co-wrote and released with Rick. The first hint that something was wrong was when they said “Dancin’ On The Edge Of The” WHAT??? “You Write The Book”? Etc. Oy! Thanks to the current staff at EMI, all is back in order. Wishful thinking… but maybe they will be able to find good homes for a lot of the many gems that were never heard but are now back on the map! Please go to Supporters Along The Way to read more about Judithe Randall. Marci (aka Mark) Free sang on many of my songs over the years and we probably have a collection of over a CD’s worth of material from the mid – late 80’s – 90’s. There is no question how awesome her voice is and I will always be grateful for all her support and great energy she put into every performance. Marcie Michelle Free (born Mark Edward Free on April 12, 1954) is an American rock singer, best known as the lead singer of King Kobra, Signal and Unruly Child. Free started singing professionally at the age of 19 while living in Flint, Michigan (1973). In 1975, Free moved to Las Vegas, Nevada which eventually (in 1979) led to Free relocating to Los Angeles, CA where he met Carmine Appice (Vanilla Fudge, Beck, Bogert & Appice, Rod Stewart) in 1983. Together they formed King Kobra and were signed to Capitol Records in 1984. Free recorded two albums with King Kobra, Ready to Strike, and Thrill of a Lifetime, before leaving in November 1986 to pursue other musical interests. In 1987 Free formed a band with guitarist Danny Jacob, bassist and keyboardist Erik Scott and drummer Jan Uvena, which would later take the name Signal. Signal recorded one album for EMI, 1989’s Loud and Clear, before disbanding soon after. In 1990, Free then joined up with Bruce Gowdy, (Stone Fury/World Trade) and Guy Allison (World Trade) (keyboards), forming a group known as Unruly Child. Unruly Child signed with Atlantic/Interscope Records in 1991 and released their self titled debut album in 1992. In 1993, a solo album consisting of demos Free had sung for a mother/daughter song writing duo named Judithe and Robin Randall was released on an independent label in the U.K. called Now and Then Records. The album entitled, “Long Way From Love” was re-released on Frontiers Records in 1998. 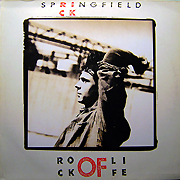 This album version included some of the live performances Free gave while in Manchester England for the first rock festival known as “The Gods of AOR” in October 1993. Having gender dysphoria all her life, Free came out to the world as Marcie Free in November 1993. In 1995, Free retired from the music business and moved back to Michigan to be close to her family. However she still sings professionally on the side and in September 2009 Marcie, Bruce and Guy reunited Unruly Child and signed a recording contract with Frontiers Records. A new album with that label, Worlds Collide, has been released to critical acclaim. “This is without a doubt one of the best female AOR albums of the eighties. 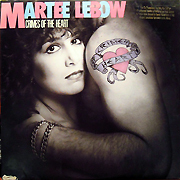 Martee Lebow is a singer/songwriter from Binghamton, New York. She recorded her first album “The Lady Wants To Be A Star” in her teens, which was produced by Charlie Calello. The album “Crimes of The Heart” featured Dan Huff on guitar. Dan has not only played on albums with artists such as Reba McEntire and Michael Jackson, he has also produced Faith Hill, Keith Urban and Rascall Flatts, to name just a few. Martee has collaborated with writers such as Will Jennings, Craig Wiseman, Keith Reid and Jim Messina. Martee has also maintained a successful jingle career, singing on commercials for Coke, Folgers, Budweiser and many more and has recorded background vocals and traveled the globe with the World Music Band, Alabina and Ishtar. She is the lead singer of the Mar-Tays, a New York City band featuring Irwin Fisch, John Siegler, Frank Vilardi, Ira Siegel and Larry Saltzman. Will the tears fall like rain? Nick and I first met when he was an Island writer in LA. This was just before I signed my deal with Motown as a staff writer. We were extremely productive during the short span of time we wrote together. Nick has worked with artists such as Janet Jackson, Atlantic Starr, Debbie Allen, Irene Cara, Danny Wilde and the Rembrandts and Mandy Moore.